I started around 2005 with a very ambitious phone manager called floAt's Mobile Agent (aka FMA), but its development suddenly stopped around 2007 while myPhoneExplorer was already becoming increasingly popular. 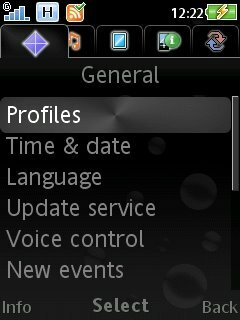 Much lighter to install than the official Sony Ericsson PC Suite, myPhoneExplorer actually provides a lot more functionalities. It gives the total control over any Sony Ericsson phone: contacts, calendar and notes can be synchronized with either PhoneExplorer only, Google, Thunderbird, Outlook, and any iCal compliant source. Additionally, photos can be synchronized too, and more recently (since v.1.7), any files on the phone, which comes handy, if like me, you use the phone as a flash drive to bring back home files downloaded elsewhere. The Phone keypad function allows to control the phone navigation from the computer as well as taking screen shots from within any phone application. The developers are very active and updates are constently published with new and improved functionalities. Guys I bought a set of them to to monitor my home and record anything that moves around it. I'm happy to say that after configuring the cameras to my network with motion turned on for recording and setting up a DNS hosting for connecting over the web everything worked beautifully!!!! Security services charge over a hundred bucks a month to do what I'm now able to do for FREE!!! I love it and I plan to buy at least two more cameras.